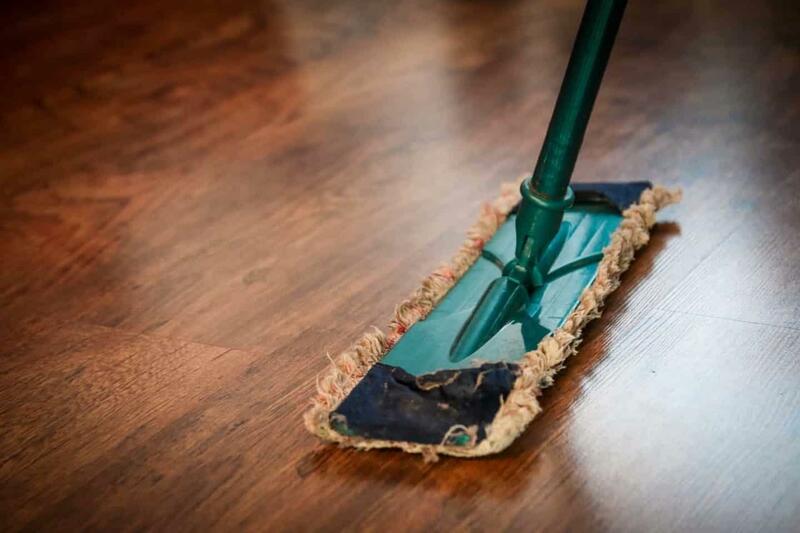 Many cleaning companies spend thousands of dollars and countless hours determining how to market and promote their services. Some of these marketing strategies end up working, while others fall flat – but all in all, the process isn’t an exact science. Fortunately, if you’ve attracted a loyal and enthusiastic client base over the years, building your business might be easier than you think! That’s because you’ve already got your hands on one of the best assets in growing your business – and one that can’t be bought or otherwise unearned – clients that are willing to vouch for the excellence of your services! In this digital age, customers are increasingly turning towards online customer reviews to verify the integrity of the businesses that they’re interested in. In fact, a study conducted by YouGov found that 87% of consumers trust online reviews as much as reviews from friends and family. This isn’t a recent phenomenon, either – since the popularity of the internet has soared, more and more people are putting their faith in the opinions of anonymous internet users. Why? Well, it’s thought that this increasing reliance on customer reviews is due in part to what psychologists and marketers are calling social proofing. Social proofing is the idea that we are heavily influenced by our peers, leading us to interact with the services and businesses that the people around us are recommending. Social proofing isn’t a theory, either – it’s an observable phenomenon that’s been around for quite some time. However, in modern times, social proofing’s reach has extended to the digital world. Due to the proliferation of the internet, we’re now willing to not only trust the opinions of our friends and family – but also the opinions of customers we’ve never met. That’s why Yocale provides your cleaning business with an easy-to-use online destination for your customer reviews. By helping you accumulate and highlight the praise your services have received, you can boost your social proofing and build your business to be bigger than ever! Gathering positive online reviews for your business is undoubtedly a great way to draw more attention to the quality and convenience of your services. That said, the anonymous nature of the internet does raise the possibility of fraudulent reviews appearing for your business – reviews that can misrepresent your business and quickly undermine the credibility of your services. Sadly, fraudulent reviews can damage the reputation of nearly any business of any size – sometimes irreversibly. But because Yocale only allows your real, verified clients to leave reviews, you can rest assured knowing that any threats to your online reputation will be kept at bay. While other online review services allow just about anyone to share their thoughts with the world, Yocale ensures that each of your reviews comes from a real, verifiable source. And no, there’s no complex identification or vetting process at work behind-the-scenes – in fact, it’s simpler than you think! Any time a scheduled service of yours concludes, Yocale will automatically email the corresponding client a friendly invitation to share their opinion online. Once they click the review link, your client will be sent to your Yocale Booking Page, where they can fill out a review as they please. With Yocale, your customers can leave a quick star review, or provide detailed feedback if they’re feeling up to it. Yocale doesn’t bombard them with questions – it merely provides your customers with a chance to speak their mind. Once a customer has submitted a review, you’ll be able to verify it from your Yocale Dashboard. And upon verifying it, it will appear on your Yocale Booking Page for the world to see! Yocale makes the whole process of requesting, verifying, and managing your customer reviews a breeze – even with limited technological experience! If someone searches online for your cleaning company right now, what will they find? Because the internet is often the first destination for those looking to explore local cleaning services, it’s crucial that your cleaning business has an online presence – and one that represents you and your staff with both dignity and professionalism. That said, many business owners don’t consider themselves to be very tech-savvy. And as a result, they often avoid publicizing their business online entirely. This is unfortunate, as expanding your online presence is a fantastic way to attract new customers and grow your business! Fortunately, Yocale’s Booking Page feature provides business owners with an easy and effective way to bring their businesses online without having to write a single line of code. Once you sign up with Yocale, you can have your very own booking page up and ready for your online visitors in as little as a few minutes. Yocale’s web-based interface is easy to use and will walk you through the entire booking page creation process with a few simple steps! 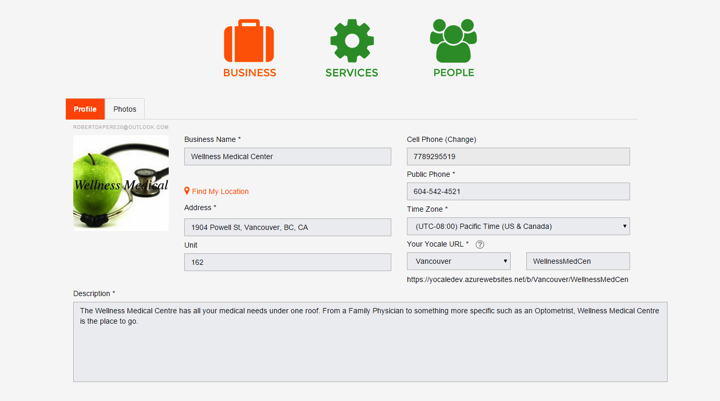 There’s no website creation experience required – just enter your business’s details, click save, and you’re good to go! Once live, your booking page will automatically feature any of your customer’s reviews that you’ve verified – just click the “reviews” tab to see them. That’s it! 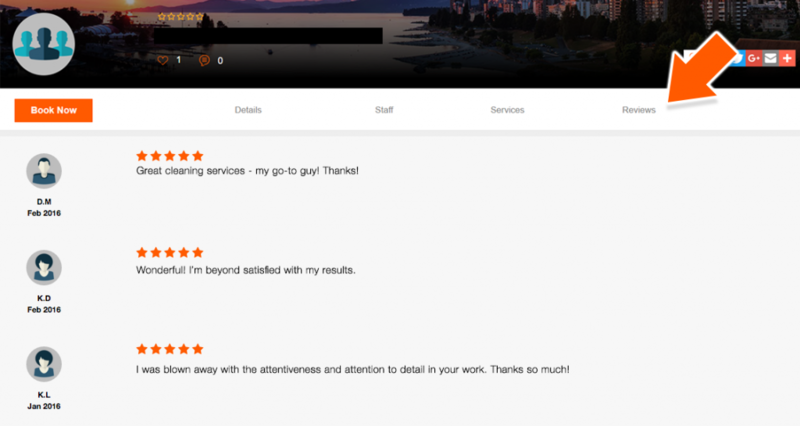 As Yocale requests new customer reviews and you confirm them, you’ll continue to see your booking page fill with praise from your customers. On the flip-side, new customers who search for your business online will be directed towards your Yocale Booking Page, where they can catch up with the approval and admiration of your past customers. And if they like what they see, booking a service directly from your Yocale booking page is always just a few clicks away! Exceptional service deserves exceptional representation. Bring your business cleaning online with Yocale today and let your customers sing your praises to the world!